Today’s SmartCite Question: How do I add a citation style to SmartCite? Once at this website, just search for the style you need and download it to your desktop. 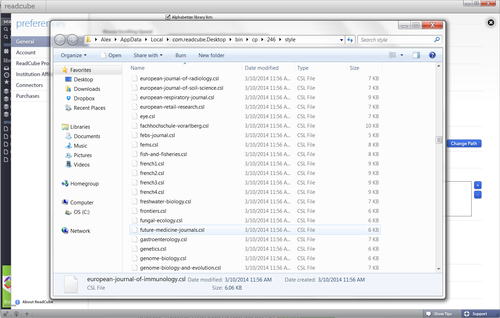 When this is done downloading, open your ReadCube Papers client and navigate to the general tab of your preferences menu. From here, click the following button, which will automatically open the folder that holds all of your .CSL files. Click and drag the style from your desktop to this folder, and you should be all set!